The first time you see a Subaru XV Crosstrek, you would be right to wonder in which new vehicle category does it belong to. It could well be an SUV, but its dimensions are more compact than even a compact SUV. The first time you see a Subaru XV Crosstrek, you would be right to wonder in which new vehicle category does it belong to. It could well be an SUV, but its dimensions are more compact than even a compact SUV. It could be a family car, but the XV Crosstrek offers a ground clearance greater than family cars. Truthfully, the Subaru XV Crosstrek is a unique model and perhaps this explains its growing popularity. One could define the XV Crosstrek as a little more robust Subaru Impreza. 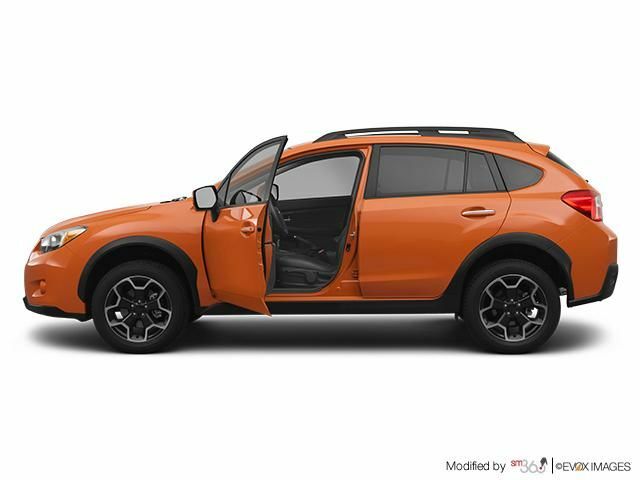 Actually, the Subaru XV Crosstrek appears to have mostly the same dimensions as the Impreza with the exception of its height while the interior is similar to the 5-door Impreza. However, the more generous ground clearance allows the 2014 Subaru XV Crosstrek to offer crossing capabilities even more attractive than those offered by the Impreza while its raised driving position will appeal to those who want to feel safe while not necessarily driving a huge SUV. Similarities with the Impreza continue under the hood of the 2014 Subaru XV Crosstrek. Indeed, it is powered by the same four-cylinder 2.0 -liter engine with 148 horsepower and 145 lb-ft of torque. Buyers can choose between an optional Lineartronic continuously variable automatic transmission or a standard 5-speed manual transmission. Whatever your choice, the Subaru XV Crosstrek offers performances both dynamic and constant in all situations. Acceleration is frank and pickups occur without too much hesitation. In addition, the Subaru XV Crosstrek's advertised fuel consumption is one of the most advantageous and unexpected, especially in a vehicle with standard AWD. Indeed, the advertised average consumption of the manual transmission version is 6.7 liters per 100 kilometers on the highway while, with the CVT transmission, average consumption decreases to 6.0 liters per 100 kilometers on the highway. Obviously, if fuel economy is a very important factor for you, then you can turn to the all-new 2014 Subaru XV Crosstrek Hybrid. Unveiled for the first time at the New York Auto Show, the Subaru XV Crosstrek Hybrid is the first model of its kind to be offered by Subaru. When developing the hybrid powertrain, Subaru engineers added a 15 kW electric motor positioned between the CVT transmission and the engine. The electric motor is able to assist the gasoline engine during accelerations and departures, and may even propel the XV Crosstrek Hybrid alone at speeds of up to about 40 km/h. 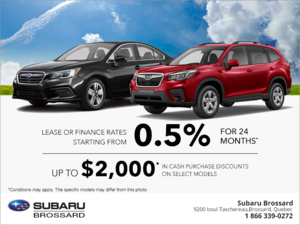 Whether you choose the traditional or hybrid engine, the Subaru XV Crosstrek offers a spacious interior that will appeal to buyers of all sizes. At the rear, the advertised load volume of the trunk is 632 liters, perfect for trips to furniture stores! 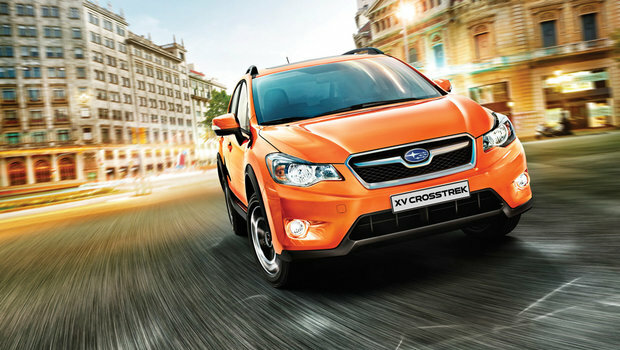 Try all versions of the 2014 Subaru XV Crosstrek at Brossard Subaru today!